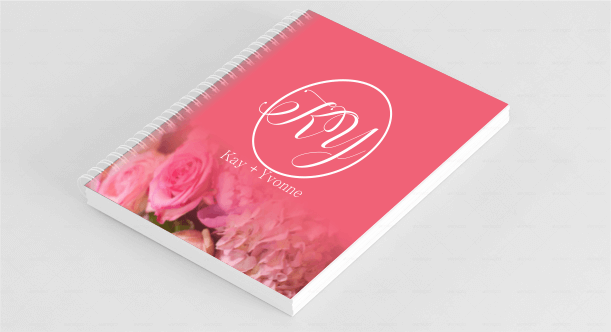 Create stunning wedding invitations for your special day and give everyone something to look forward to. Printed with shiny lux cards with raised name print option. 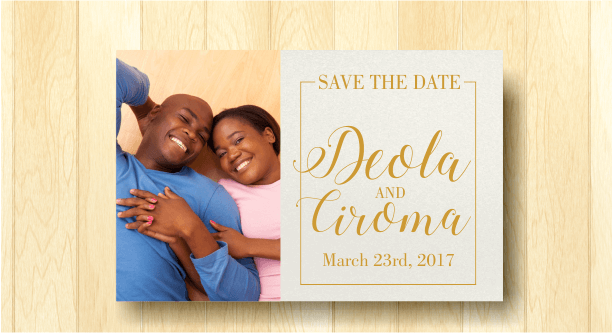 Announce your special day with our beautiful A6 Save The Date cards. Available in laminated matte cards and shiny lux cards. Your food menu is another avenue to make your guests remember your day. 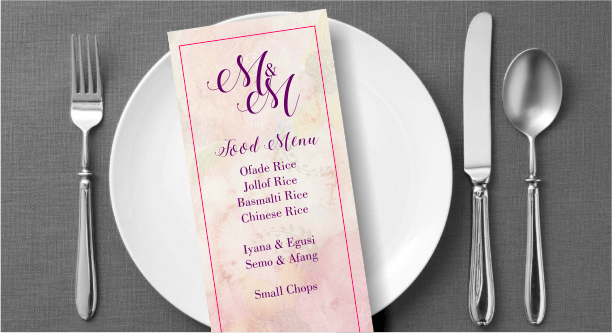 Create classy food menus that will wow your guests. Available in matte cards and shiny lux cards options. A message of appreciation to everyone that made your day special will go a lng way. 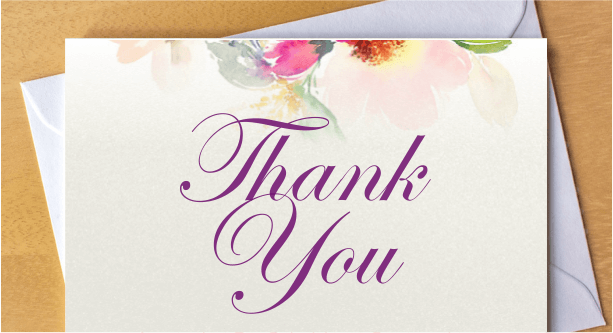 Order brilliantly designed thank you cards for your guests. Available in matte and shiny lux cards options. 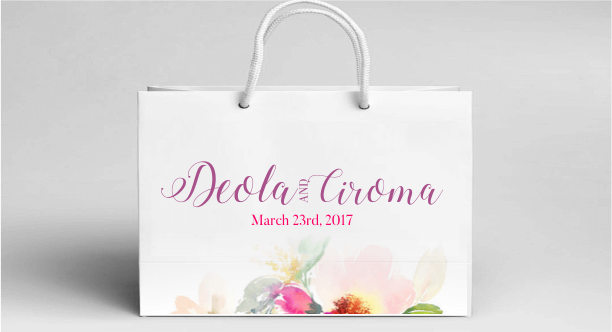 Order beautiful branded paper bags for gifts and souvenirs. Give your guests something awesome to carry around from your special day. Available in various sizes and dimensions. Create beautifully printed ceramic mugs as your gifts for your guests. Available as simple mugs and magic mug options. 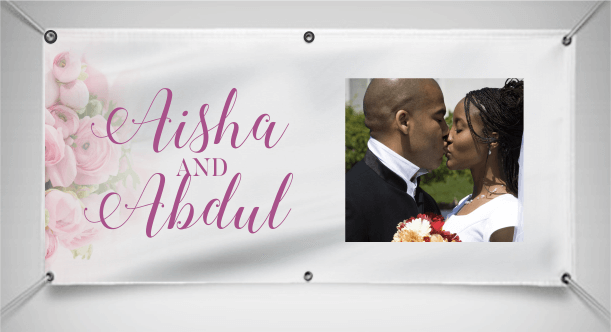 Beautify your wedding venue with classy branded rollup banners and make your event memorable. Available in small and big base options. Give your weddiing guests an amazing gifts to take their notes and they will always remember how special your day was. 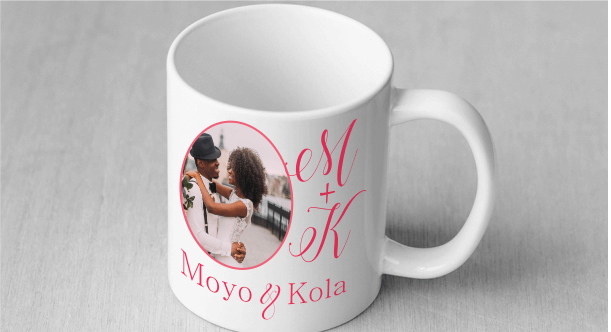 Wedding guests deserve gifts and souvernirs they will remember as they use. 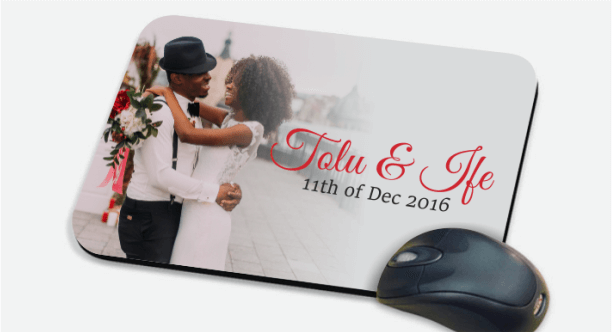 Print photo mousepads for your special and wow everyone. 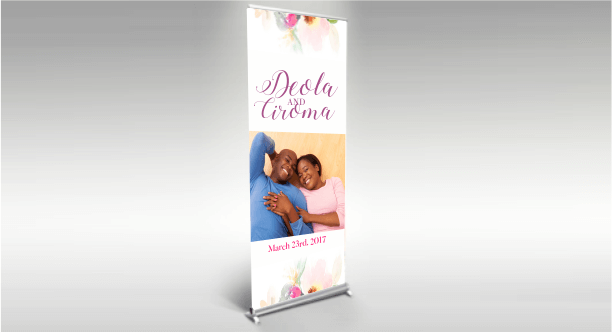 Brand your wedding's hall entrance with awesome looking wedding banners with your pictures and designs boldly printed on it. 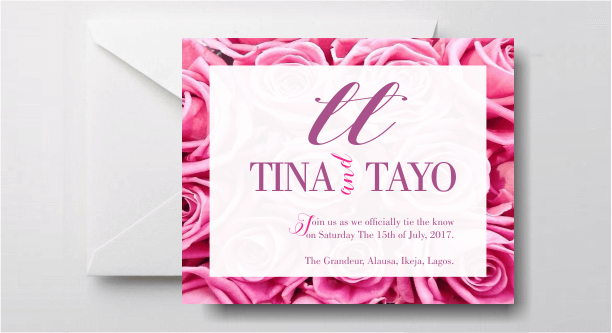 Get your wedding invitations, paper bags, banners, souvenirs and gift items printed and delivered to you anywhere you are in Lagos, Abuja, Port Harcourt.